The thought of stealing makes Ben Skinner ’19 smile. On the baseball diamond, speed is his biggest asset. But to steal second base, he needs to get to first, the only one that can’t be stolen. To reach it, he can draw a walk or get hit by a pitch, but mostly he hits a ball into play and beats any throw to the bag. Skinner is often looking to drive the ball up the middle, out of reach of the shortstop and second-baseman. If he’s ahead in the count—the pitcher has thrown more balls than strikes—he may swing for more power, slightly increasing the upward angle of his swing. If he’s behind, he’ll shorten his motion and just try to swipe the ball into play. He is known as a contact hitter, but making contact isn’t easy. A baseball is less than 3 inches in diameter, and most Ivy League pitchers throw into the high-80s-miles-per-hour range, minimum. Almost every pitch reaches the plate in less than half a second. Hitting was simpler in high school. Most pitchers, even around Moraga, California—Skinner’s baseball-happy hometown—stuck to fastballs. Four-seam fastballs, the most common breed, depend on velocity and don’t have much lateral movement in the air. Curveballs, sliders, and sinkers—off-speed or “breaking” pitches—curve, slide, and sink in mid-air, often leaving a batter off-balance and confused. Breaking pitches are notoriously hard to control, however. In high school, he could “sit on” a fastball, anticipating the ubiquitous pitch and swinging at just the correct moment. Not anymore. Nearly every Ivy League pitcher has command of at least two, usually three pitches, and can throw them on any count. A first-pitch curveball, a high-school rarity, must weigh on Skinner’s mind. If he expects a fastball and gets a curveball, his swing may be done before the ball reaches the plate. College pitchers are sharper, nestling the balls into the corners of the strike zone, where hitters are lucky just to make contact. His freshman and sophomore years, he was “out of luck” more than he wanted to be. He hit for a .215 average his first year, followed by a .250—both below the team average. His on-base percentage, the most important statistic for a base-stealing threat, hovered just below and then barely above the team average. Skinner usually hit last in the batting order, guaranteeing the fewest at-bats each game among starters. The initial struggles didn’t discourage him. He had long before embraced a slow-burning, fundamentals-focused approach. He joined his high-school team as a freshman, gunning for the starting shortstop or second-baseman slot, where he had played all his life. In his first game on the team, however, the team’s junior second-baseman (now playing professionally in the minor leagues) hit two home runs. “I remember talking to my dad on the phone and being like, ‘Yeah, I don’t think I’m gonna play much this year,’” he recalled. He considered his situation. He was a couple years younger and less physically developed than his competition. If he wanted to become a starter, he’d need more strength. 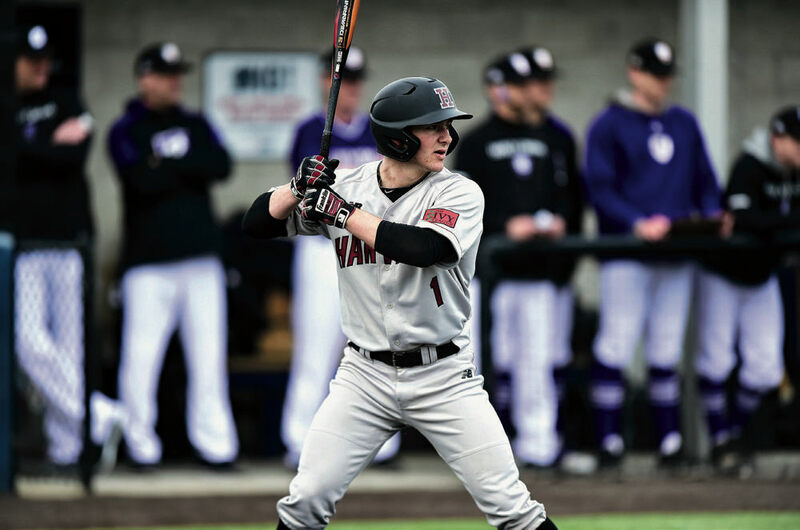 He touched weights for the first time his freshman year, focusing mostly on leg, core, and oblique work—crucial for baseball, for which throwing and swinging require quick and forceful rotations. His team, skilled in the middle infield, was weaker in the outfield. Middle infielders need speed, but center fielders cover the most ground. While center field was an adjustment, he followed the approach of his older teammates, many of whom would go on to play baseball at the top collegiate level. He could get there too in a couple of years if he focused on improving his fundamentals every day. Tracking a fly ball, hitting for contact, reading a pitcher’s windup before stealing a base—all are skills based on razor-thin margins and built through focused repetition. Skinner said there’s nothing unusual about his style of preparation then or now; he just concentrates in practice as he would in a game. When the starting center spot opened his junior year, he excelled immediately and got recruited by and committed to Harvard within months. But there are plenty of reasons why Usain Bolt or LeBron James couldn’t just get out there and mimic Willie Mays. Before a pitch is thrown, Skinner positions himself where he thinks the ball, if hit, will end up. If he knows a right-handed batter is a pull hitter, he’ll move a few steps to his right, alerting the other outfielders to do the same. If a lefty is swinging late, he’ll slide the same way. If the batter is the four-hitter—typically the team’s most powerful—he’ll take five or so steps back. But if the four-hitter has two strikes, he’ll take a few steps in and to the batter’s opposite side, knowing the swing may be short and late. The adjustments are near constant and depend not only on the pitcher and batter, but on the stadium’s size, the inning, and even the temperature. By the time the ball is hit, Skinner hopes to be leaning in the correct direction, ready to run. Evaluating its trajectory is a matter of practice, and every ball he catches makes him minutely better. In most cases, the best route is a straight-line path to the ball, begun within half a second of contact. A routine running grab is anything but routine. During the winter, he can’t practice this skill as much as he’d like. Harvard’s domed indoor training facility, The Bubble, within the Stadium, can’t accommodate many high-arching fly balls, so much of the practice comes against actual opponents. And there’s not much time to shake off rust. Harvard’s 39 regular-season games are packed into a period of just over two months. When Skinner suffered a concussion this season after taking a pitch to the head, he missed a tenth of the team’s games in just a couple days. Consistent with the Ivy League schedule, Harvard plays almost every game on the weekends. The last classic Major League Baseball double-header, in which two teams play each other back-to-back, took place in 2017. Harvard has 10 such double-headers this year, including one against each Ivy opponent. In the half-hour break between two three-hour games, he’ll grab something to eat, then get back on the diamond, which may very well still be freezing in late March. Still, the Northern California kid has adjusted well. His junior year, he moved from ninth to first in the batting order, and at .416 had the highest on-base percentage among Harvard starters. One of two players to play all 42 games, he led the team with 55 hits, 13 doubles, and 17 stolen bases, recording a .325 batting average—to go with a .990 fielding percentage. After the season, in which Harvard went 22-20, he was one of three Crimson players voted First-Team All-Ivy. In the first couple hundred milliseconds after a pitcher throws a ball, Skinner might notice a dot-like pattern in the spinning seams, alerting him that the pitch is a slider. If he’s preparing to steal second and notices a pitcher getting locked into a routine, he can take off at the moment the pitcher lifts his left foot. And though he is the team’s only engineering concentrator, he said his approach to baseball and engineering are separate. Engineering is about analysis; baseball is about instincts. Sometimes it’s no secret that Skinner will steal second. The pitcher knows, the catcher knows, everyone in the stadium knows. It is at times like these where everything slows down and his intuition kick in. Then, it’s just a footrace. “That’s the most fun,” he said, smiling.